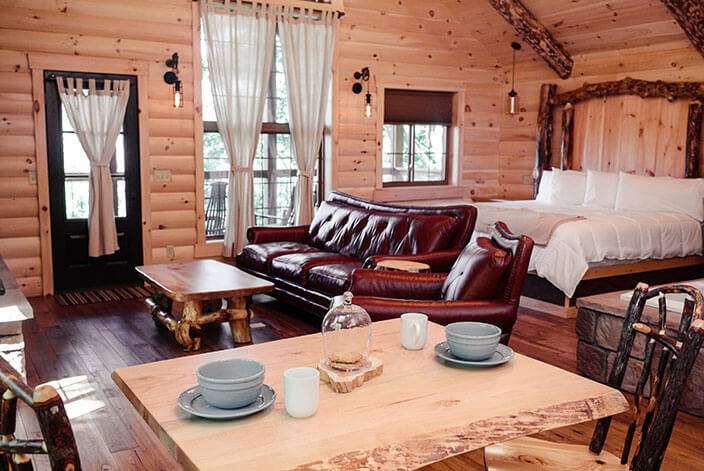 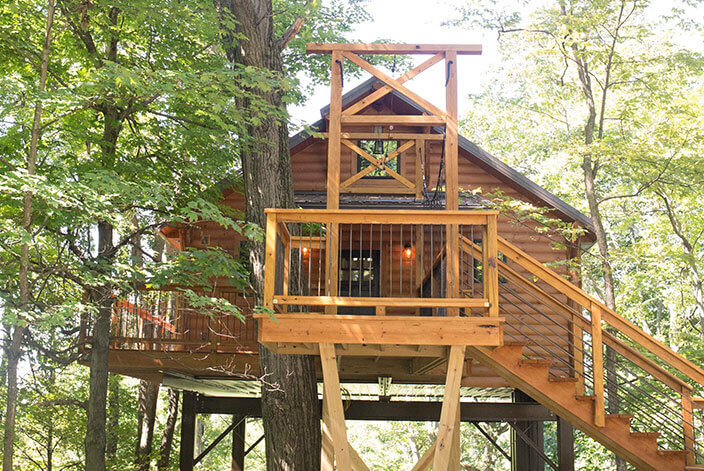 Enjoy the perfect romantic getaway in our luxury Amish Country tree house 30 feet off the ground! 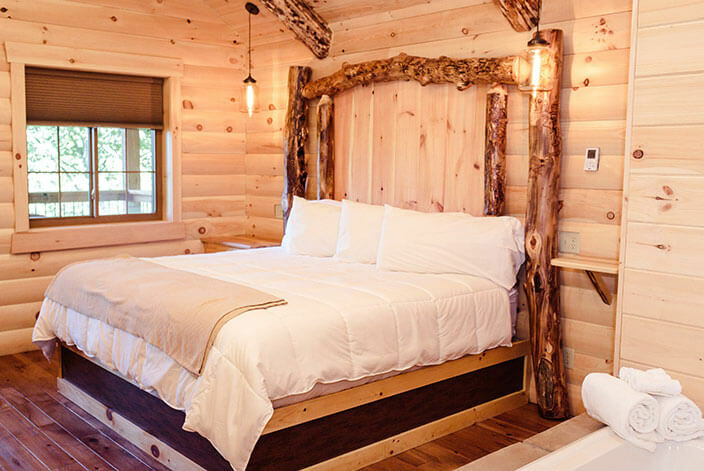 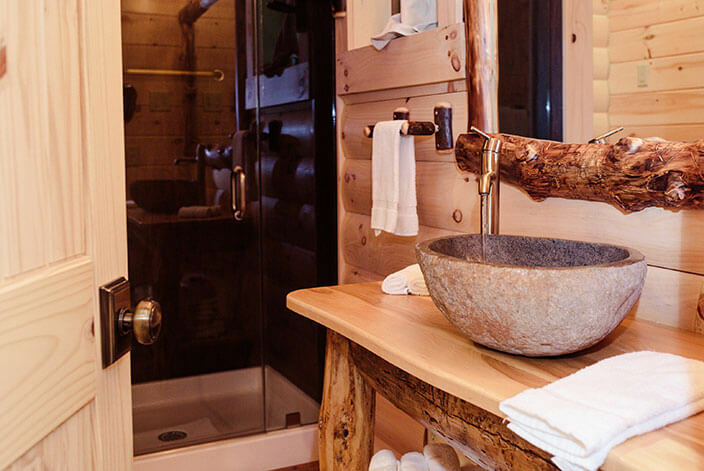 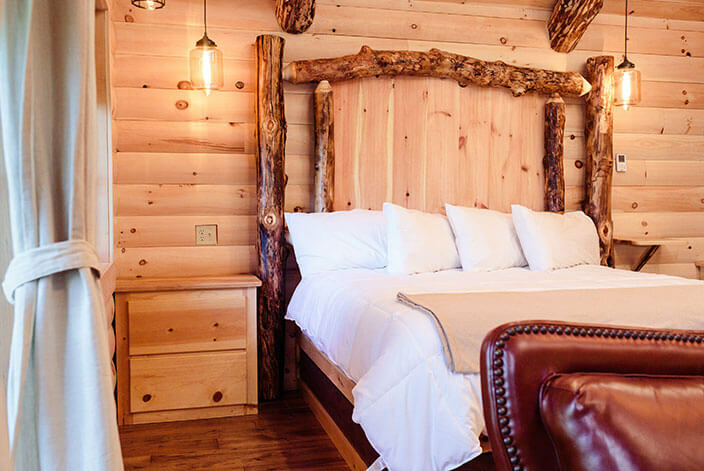 Experience complete privacy in the woods on our 38-acre property in the heart of Amish Country. 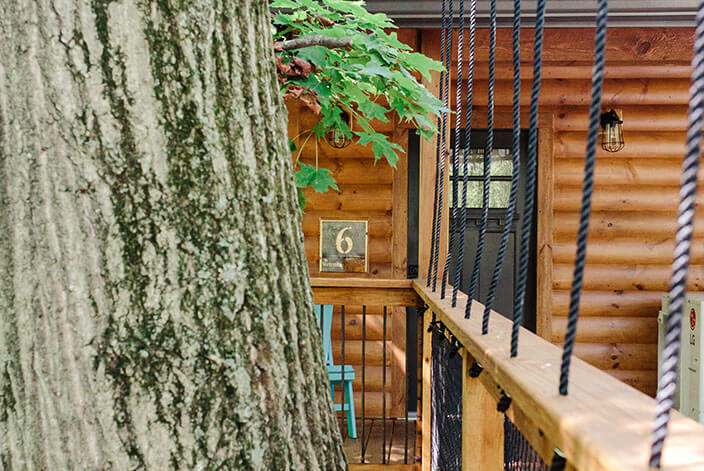 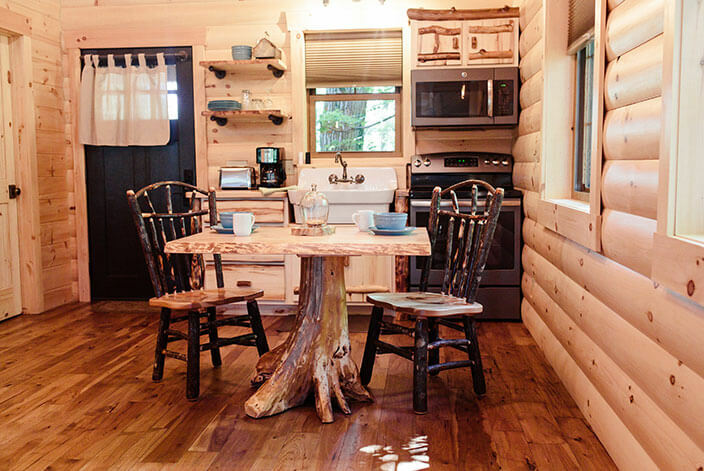 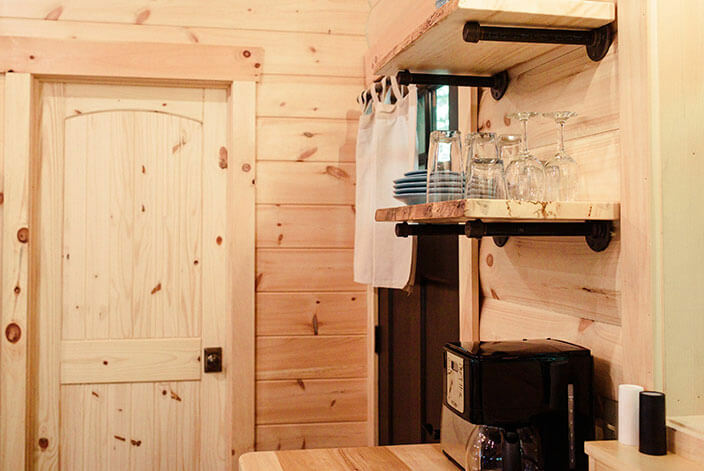 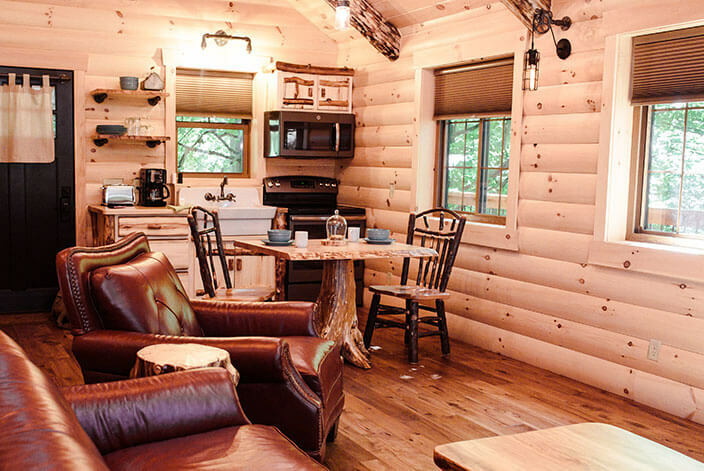 Treehouse #6 will provide you with all the amenities you could need! 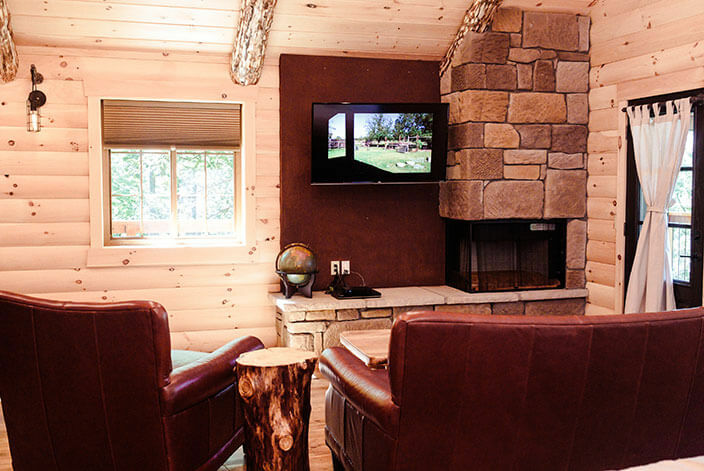 Enjoy a king-size bed, living room with sofa and sitting chair, 2 person stone Jacuzzi tub, gas fireplace and full kitchen. 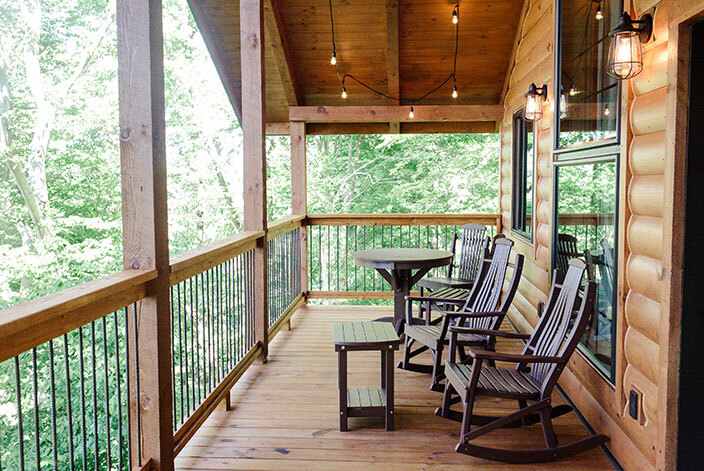 Also enjoy the wooded views from your private covered porch!